Bowling Green had once finished ninth, eighth, seventh and sixth over four consecutive years at the NCAA Cross Country National Championships. My coach led the first two of those teams and then Dave Wottle led the third. I was a walk-on for the 1989, ’90, and ’91 seasons and felt that I was the XC equivalent of Rudy. I made the travel squad twice, both times to meets where we took 12 runners. You can probably guess where I placed among the 12. We finished 10th, 12th, and 10th in the District IV Championships and two of those years we beat six of the then-10 Big Ten teams (Illinois, Northwestern, Iowa, and Minnesota were in the District IV at the time). In 2001 Bowling Green cut four sports: men’s swimming/diving, men’s tennis, and men’s indoor and outdoor track. Somewhere in the next year or two the administration cut all scholarships for men’s cross country. From 2002 to 2014 the men’s cross country team was either last or next-to-last in the MAC, including seven straight DFLs from 2007 to 2014. In 2015 the team took seventh, then fifth in 2016 and third last year – still with 100% walk-ons. Over the last three years my old coach raised enough money to endow one scholarship, which was awarded for the first time this year. And now, the team finished second in the MAC this year and then 10th at the Great Lakes Regional.11 of 12 team members are walk-ons. 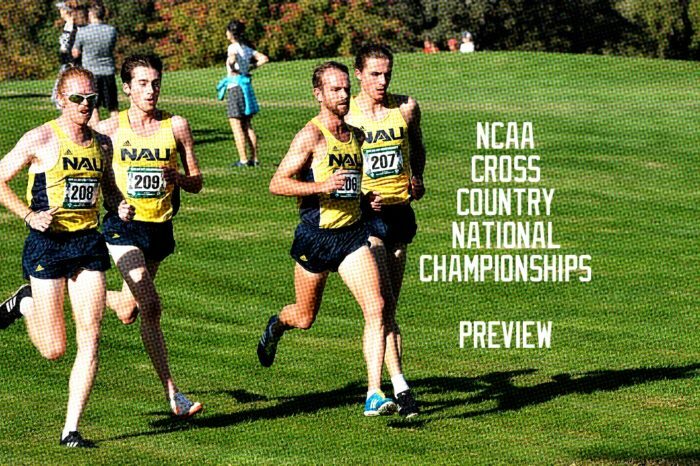 The team has two men who have an outside chance at qualifying to the NCAAs. Noah Schaub earned All Great Lakes Region individual honors with his 24th place finish, which was a tremendous jump from his 144th place finish during his freshman year. This one is for the walk-ons, the guys who just want a chance to run. Thank you for making us proud once again. It’s stories like that of the 2018 Bowling Green men’s team and those like Bradley men’s team and Oregon State women’s team, both of which qualified for their first NCAA championship, that are why I love cross country.